Manchester, UK – Socialfabrik is an independent brand based in Manchester, England that offers exclusive, original graphic tees & other miscellaneous illustrated goods like greetings cards and patches. In addition to creating designs in-house, Socialfabrik has also collaborated with acclaimed artists, illustrators & designers both locally and from around the world. In-store now is the result of the latest collaboration, this time with Derek Eads, an illustrator, movie buff & Bill Murray fanatic from Indiana, USA. Derek's work is inspired by his love of pop culture, especially the iconic roles of actors. He has produced a large amount of illustrations featuring the various characters Bill Murray has portrayed as well as the likes of Steve Martin, Owen Wilson, Johnny Depp, Sylvester Stallone and many, many more. 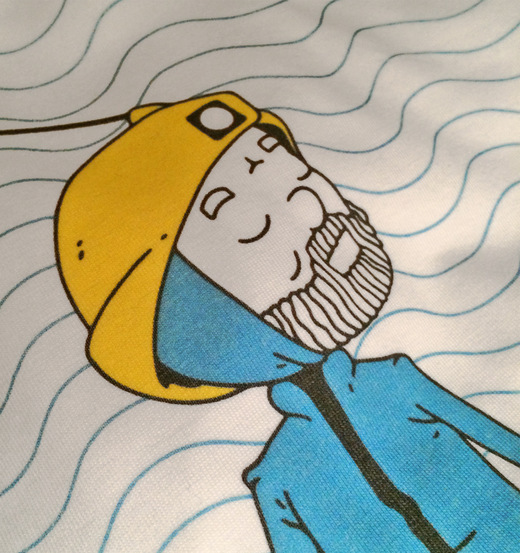 His obsession has manifested itself again with 'Scuba Steve Zissou', a design that features Bill Murray as the eponymous oceanographer from the Wes Anderson classic movie 'The Life Aquatic with Steve Zissou'. This artwork sees him depicted in his scuba gear, about to embark on his search for the elusive Jaguar Shark that ate his best friend Esteban. 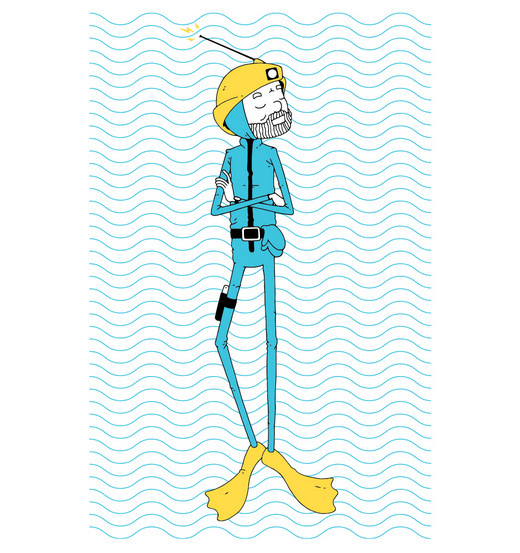 'Scuba Steve Zissou' is available to buy now from www.socialfabrik.co.uk. Socialfabrik tees are hand printed in Manchester on 100% organic cotton Earth Positive garments and each design is produced in limited quantities. You can use the code CHEAPSKATE at the checkout to receive a 10% discount on all t-shirts from the Socialfabrik store.